This week I learned how to transform the graph of . This question asked me to graph without using a calculator or table of values. I graphed this by knowing that always creates a parabola and if the coffient of is positive it faces up and if it is negative it faces down. Parabolas with a coffiecent of 1 have a congruent shape, with a pattern of 1, 3, 5 so i could plot the points. In the form of q is the y intercept so that is where the vertex is. 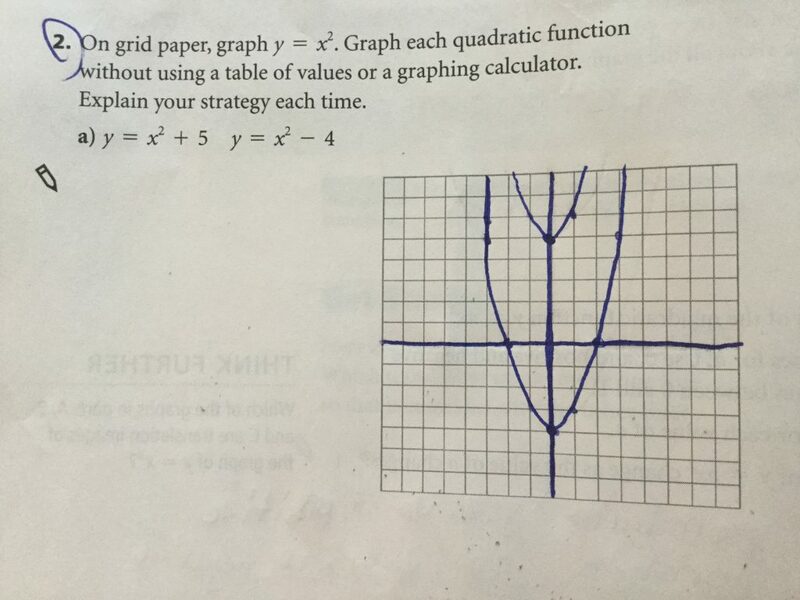 That information made it so I could graph without a calculator or table of values.